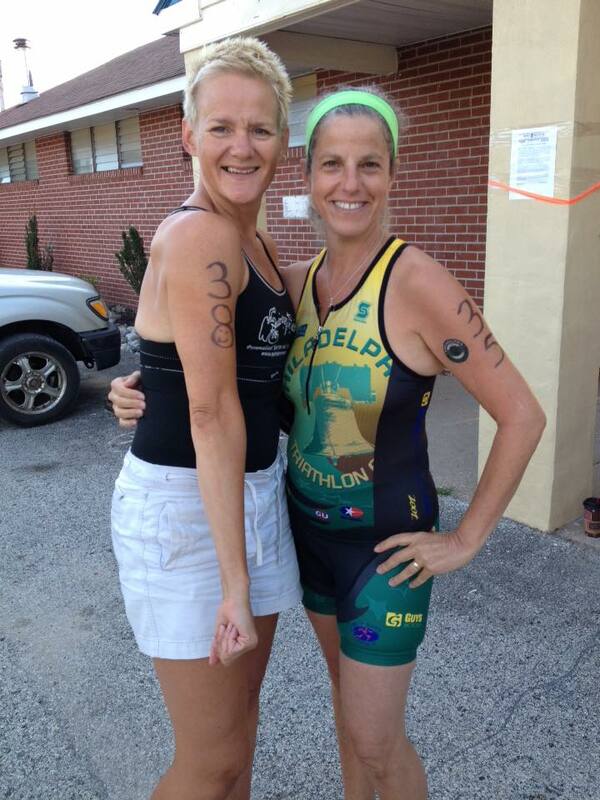 As many of you know, I have been a triathlete for over 20 years. I competed a lot. Triathlon, 5K, half marathon, half Ironman, full races. It was fun to compete. I was never there just to complete but race. The past few years…not so much. Well, not at all. As my hip injury turned into a degenerating hip condition, I left the world of competing to a realm of focusing on what I could do. Racing took a back seat as I wanted to perform and compete at my best, but I had no best. It just hurt to do the races. It hurt just to walk. So I stopped competing. And I stopped completing or participating in them! I just focused on what I could do as an athlete – yoga, cycling at much slower pace than I am used to, and swimming. I also focused on my nutrition business and thru this hip degeneration, I perfected the anti-inflammatory diet. I know that changing you food can make pain go away. This weekend though, I completed my first race in 4 years. Or did I compete?? It is funny how a few year off and a new hip will change ones perspective. But then I do believe that once a competitive athlete, you are always a competitive athlete. As much as I have learned to just love the shape I am in and enjoy the activity I am doing, I realize that I actually miss training and I also miss competing! Will I ever be where I was before? No, but I am sure I can still race at my best…if I actually train. Compete vs just complete. I think competition is an addiction or can be! Yesterday I did the French Creek Racing’s aquathon – a 1000 m swim followed by a 5k run. I signed up and then realized, I have been ‘social swimming’ for the past 3+ years and I have hardly been running – like once a week for the past 5 weeks. No speed work there… What is social swimming? Well, although I still do swimming sets (I get bored just swimming), I tend to stop and chat with those who have come to the pool. So instead of ‘being on the clock’ I am socializing and taking long breaks in between interval sets. It is a ton of fun! But it surely does not get me ready for competition. It gets me ready for completion though! ha Which is OK, if I just want to participate and complete it rather than compete! After 4 years of goofing off, I may be ready to start competing rather than completing events. I just need to start to train seriously rather than socially as I also have another event to do! (I guess that also means I really do need to find some training partners vs social partners?? Although they can be both!) This next event will definitely be a complete rather than compete event – 2 miles open water swim relay is not what I will consider a race when kinda out of shape! Yesterday I realized that I miss competing. I miss the commaraderie, too! 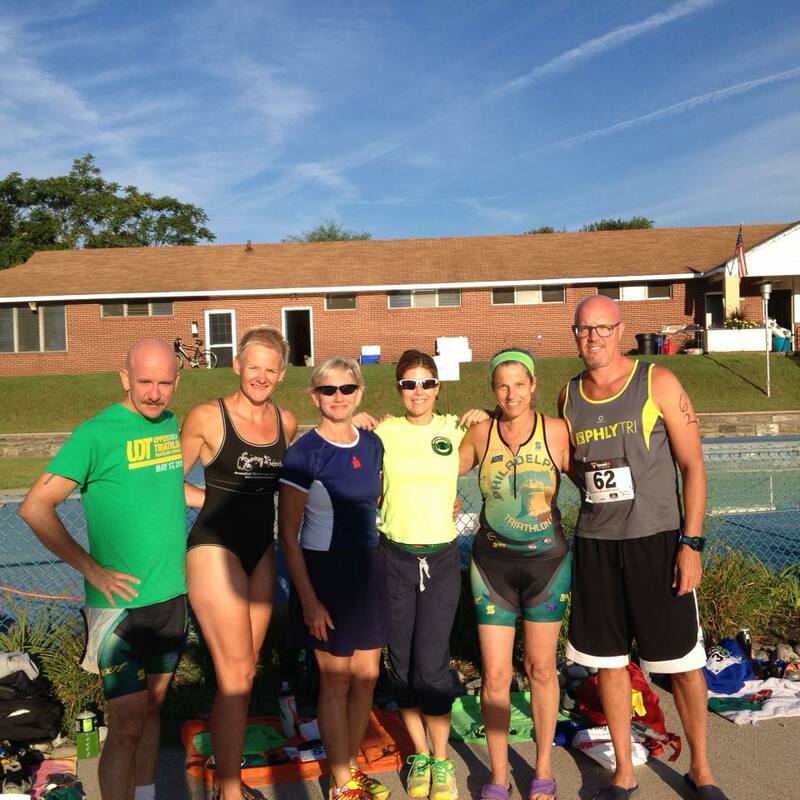 This aquathon held by French Creek Racing brought me back to what I once loved to do. I got to hang out with my fellow Philadelphia triathlon Club racers, too and met a few people on the team (yes, Facebook does connect us, but so much nicer when you meet them in person!) Having a race in mind changes the perspective to competing rather than completing….at least after the fact it did! Now to start, uhm, training! And maybe pick some races for next year? ?